Yesterday I shared a little bit about my personal faith during Luke's treatment and today I am sharing a simple and quick cross craft for Good Friday, Easter or any time. 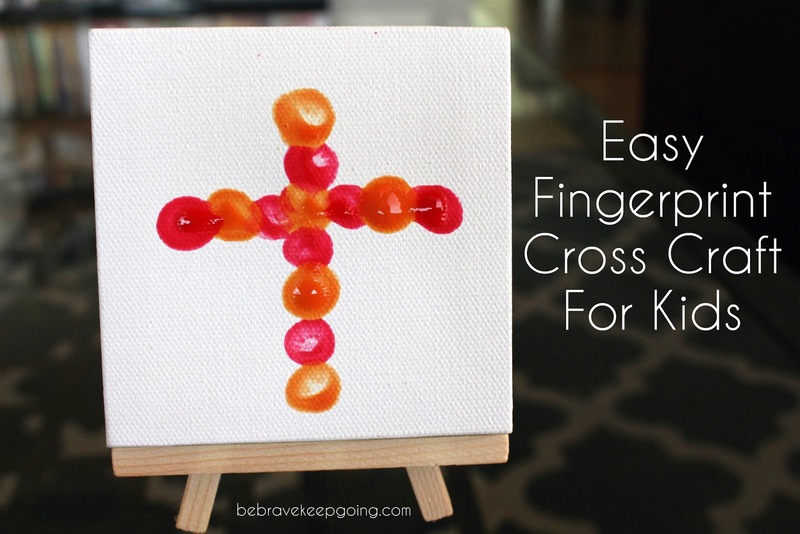 You will need just a few items to make this fingerprint cross craft. Anytime you are working with kids and paint, you want to prepare ahead of time as much as possible. This cuts down on the chaos and the mess. Well, as much as possible anyway. Cover your work surface with something to protect where you are crafting. We don't get a newspaper and my kids are old enough now that we lay out a piece of wax paper. Pour very small amounts of paint out onto a paper plate, reusable paint palette or in dixie cups like we did. Dip their pointer finger in the paint and have them press down on the canvas and lift straight back up make a line of seven or eight print in a row down and five to seven across. 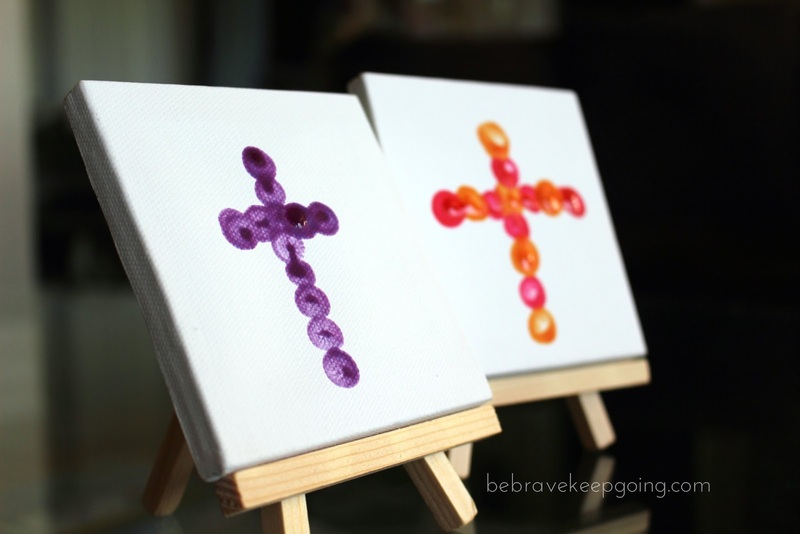 Let dry and display on the mini easel. I really like how they came out.